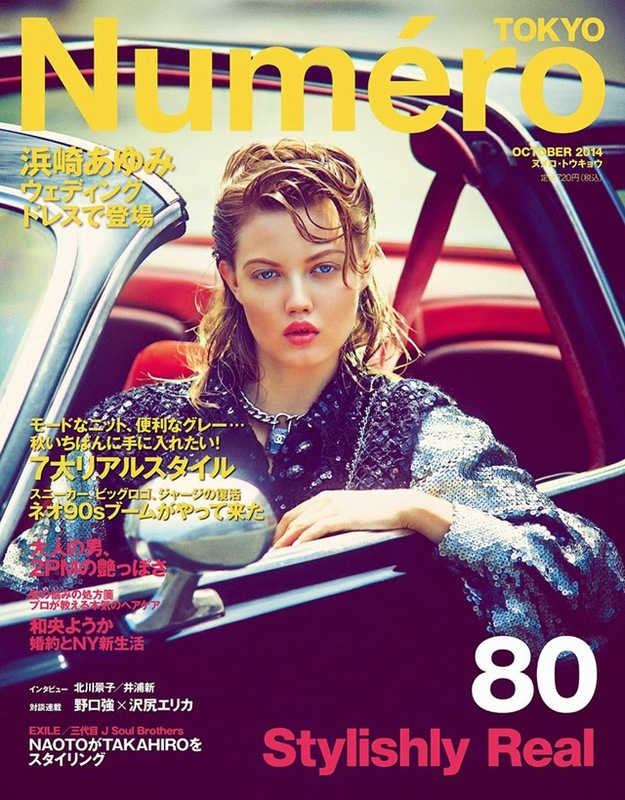 Lindsey Wixson is back on covers and this time she's sitting pretty in a vintage car, in a sort of 50's flashback vibe for Numero Tokyo. While the picture itself may have the air of a flashback, the fashion is is sporting is most definitely present day. One look at that Chanel lock around Wixson's neck and you can instantly place this as a fall 2014 ensemble. Now, if we could only figure out what the inspiration behind the hair was here.